The American Revolution began with “the shot heard around the world” at Lexington and Concord in 1775. The Declaration of Independence was signed on July 4, 1776. But the war was far from over. Fighting dragged on and the conflict turned into a war of attrition. “The British never fully understood that so long as there was a rebel army in the field the war would go on regardless of what cities or territories they might control” (Cullen 6). Throughout the course of the war America celebrated very few victories. The Battle of Saratoga in the fall of 1777 was one of the few and it proved to be a turning point in the war. Soon after, the French officially recognized the American cause and promised aid and troops. Still, the British continued to crush the Americans. Lord Charles Cornwallis led the offensive in the South. South Carolina and Georgia fell within months of each other in 1780. Cornwallis traveled northward to continue his defeat of the Southern states (3-8). By 1781 the war had been going on for more than five years. Fortunately, the French arrived early in 1781 and were stationed in Newport, Rhode Island. Washington was with his men in New York and New Jersey trying to contain the British in New York. Washington’s plan was to attack the British in New York with help from the French. Washington and the French leader Comte de Rochambeau met in Connecticut in May 1781 to finalize their plans. 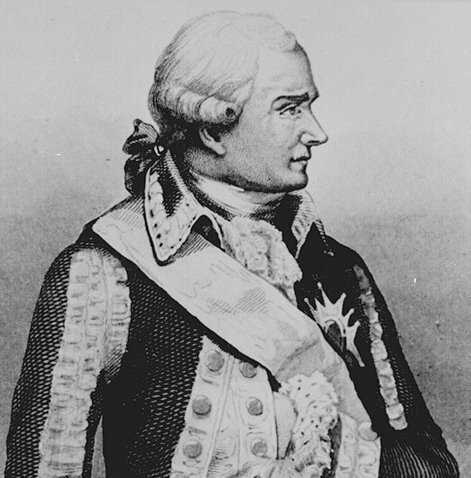 Here Washington learned that a French fleet commanded by Comte de Grasse was on its way to New York and it was estimated to arrive by mid-summer. Rochambeau agreed to move his troops to New York and join forces with the Continental forces. The two leaders soon found out that de Grasse changed his plans and was heading for the Chesapeake Bay. This amounted to a change of plans. Washington and Rochambeau agreed to march their troops southward and join Lafayette to try and trap Cornwallis at Yorktown, VA (16-19). The march to Yorktown was over 400 miles. It became the largest and longest operational movement of the Revolutionary War (Selig 3). The march began on August 19, 1781, after Washington got confirmed news from de Grasse that he was indeed changing his plans. The troops used three different routes in order to confuse Clinton, the British leader at New York, until Washington and Rochambeau were well under way (Hatch 10). Rochambeau’s forces numbered 4,200 men. Washington’s numbered 2,500. In total, over 6,000 men marched from Newburgh, New York, to Yorktown (Selig 26). By September 5, 1781, the French and Continental troops had reached Philadelphia. That same day de Grasse had landed at Jamestown Island near Williamsburg and prepared to wait for Washington and Rochambeau’s arrival. The British soon found the fleet and de Grasse engaged the British out at sea. Admiral Thomas Graves was commander of the British fleet. The battle out at sea went in favor of the French who had 24 battleships and 1,700 guns, in contrast with the British fleet of 19 ships and 1,400 guns (Cullen 19). Leaving the troops to march ahead to Williamsburg to unite with the French forces there, Washington rode with his staff to his home at Mount Vernon, arriving on September 9, 1781. It had been six years and four months since he had been home. The next day Rochambeau and his staff arrived as well. On September 11, Martha and George Washington hosted a feast for their French visitors. The next day Washington and Rochambeau set out for Williamsburg. The next night, September 12, Washington and Rochambeau slept at a tavern in Fredericksburg (Russell 281). Two days later, Rochambeau, Washington, and their men reached Williamsburg. On September 28, 1781, the troops continued to Yorktown to trap Cornwallis (Cullen 20). The Battle at Yorktown proved to be a decisive victory for the Continental Army. Lord Cornwallis surrendered on October 19, 1781, and the war was finally over (Russell 299). “General Rochambeau,” “An Unlikely Victory, 1777-1783,” http://www.historyplace.com/unitedstates/revolution/revwar-77.htm (accessed April 16, 2008). “Routes of Washington and Rochambeau,” The Washington Rochambeau Revolutionary Route Study, National Park Service, http://www.nps.gov/boso/w-r/ (accessed April 11, 2008). Cullen, Joseph P. October 19, 1781: Victory at Yorktown: The Story of the Last Campaign of the American Revolution. Washington, DC: National Park Service, US Department of the Interior, 1976. Hatch, Charles E. Yorktown and the Siege of 1781. Washington, DC: National Park Service Historical Handbook Series, 1952. Lumpkin, Henry. From Savannah to Yorktown: The American Revolution in the South. Columbia, SC: University of South Carolina Press, 1981. Rochambeau, Jean-Baptiste-Donatien de Vimeur. Memoirs of the Marshall Count de Rochambeau. New York: The New York Times, 1971. Russell, David Lee. The American Revolution in the Southern Colonies. Jefferson, NC: McFarland & Company, Inc., 2000. Selig, Robert. March to Victory: Washington, Rochambeau and the Yorktown Campaign of 1781. Washington, DC: Center of Military History, 2005. Whitridge, Arnold. Rochambeau. New York: The Macmillan Company, 1965.